Catherine Blake is Associate Professor and Deputy Head of UCD School of Public Health, Physiotherapy and Sport Science. Following graduation from Physiotherapy at UCD, Catherine worked clinically in the UK, Australia and Ireland in both public and private health settings. Catherine developed an interest in pain science while working in the pain service at St. Vincent’s University Hospital and she completed a Masters degree examining the efficacy of Cognitive Behavioural Management of Chronic Low Back Pain. She joined the faculty in the School of Physiotherapy at UCD in 1996. She was awarded a PhD in 2002 and has since gone on focus on health analytics, attaining both a HDip and MA in Statistics. 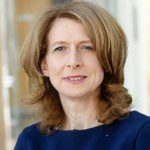 She has consistently held leadership roles in UCD and is a co-director of UCD Centre for Translational Pain Research. Catherine’s research interests lie in statistics and health analytics applied to rehabilitation and pain science and the optimisation of health and wellbeing across a range of populations. Current projects focus on sub-classification of pain clinical presentations, evaluation of outcomes in LBP, OA and osteoporosis and pain in dementia.